Moving your Pogo Sketch lightly around the trackpad will allow the cursor to hover without inking. Increase pressure to draw; heavier pressure will result in a thicker stroke. Draw into any application that can accept pen input. A full system dedicated to conversation and music in car with Color TFT 2.4’ dot matrix Screen. Made for iPod & Works with iPhone. Parrot MKi9200 is compatible with most iPhone accessories as well. Jawbone® ICON™ is equipped with military-grade NoiseAssassin® 2.5 with wind reduction, the best noise cancellation technology that money can buy. Originally developed for use by tank commanders and helicopter pilots, NoiseAssassin is a proprietary technology that eliminates unwanted background noise when you talk on the phone. It gives you the freedom to enjoy quiet phone conversations in places you previously couldn't. Jawbone headsets are the only Bluetooth® headsets with a Voice Activity Sensor (VAS) that literally feels your speech vibrations. As a result, Jawbone ICON delivers unmatched speech quality and eliminates virtually all background noise. Jawbone ICON gives you the freedom to listen all your audio - music, podcasts, video, driving directions, games, apps, and more - wirelessly through your headset from any A2DP-enabled Bluetooth device. ICON also gives you the ability to seamlessly answer incoming calls without the hassle of removing your headphones, getting tangled in cable or turning down the volume on your speakers. It's the best, most convenient way to enjoy all your audio and calls in one place. Unlike any other Bluetooth headset, Jawbone ICON is intelligent and updateable, which means that ICON only gets better with time. How? Thanks to MyTALK, our free, one-of-a-kind platform that lets you try different apps, personalize settings and download the latest and greatest features and software updates. Just sign into MyTALK, plug in your headset and sync whatever apps and updates you want. It's annoying to run out of juice. That's why we've made it super easy to ensure that your Jawbone ICON is always juiced up and ready to go. First, you'll love the convenience of having a Jawbone battery meter displayed in the status bar of your iPhone® or BlackBerry®. Second, when you press the TALK button on your Jawbone ICON, your ICON will tell you exactly how much battery life you have left: "About 4 hours of talk time remaining". Finally, when your battery is running low, you'll hear automatic alerts whispered in your ear. Simultaneous Multipoint gives you the flexibility to manage audio and calls from two different phones or Bluetooth devices at the same time. With the press of a button on your Jawbone ICON, you can switch between calls on your personal and work phones. You can also stream wireless tunes from your computer to your Jawbone ICON and seamlessly answer incoming calls without touching your mobile phone. Jawbone ICON is the perfect way to enjoy all your mobile devices and stay connected. It's important to feel comfortable and secure when wearing a headset. That's why Jawbone ICON comes with an impressive selection of earbud and earloop combinations to ensure a great fit. ICON is also designed to be smaller, lighter and hug the contours of your face, which means it's the best fitting Jawbone yet. You'll probably forget that you're even wearing it. The stylish, head-turning Torino® cell phone cases are designed for the fashionable, sophisticated mobile phone user. They are accented with a contrasting zig-zag stitch that adds flair to this classy case. Their slim, yet durable, belt clips allow the cases to sit comfortably and securely at the waist or on a belt, bag or briefcase. Protect your iPhone with the snug silicone sleeve with a textured style for ultra grippability. Made to feel good in your hands, the laser-etched design makes it easy to hold—perfect for surfing, emailing and gaming. Drop-proof your iPhone with a layer of strong, flexible silicone. Shock-absorbent and durable, it gives your device complete protection on the go. Made especially for the iPhone™ 3G and 3GS, the OtterBox case, Commuter TL series protects your iPhone™ through daily travels and trials, with style. Nite Ize is a proud partner of OtterBox, a global leader in protective and waterproof cases and dry boxes. The OtterBox Commuter TL is the perfect case for people who want to keep their iPhone™ safe without obscuring that famous Apple® aesthetic. The case features inner coring along the vertical sides that offers extra bump and shock protection, custom-molded polycarbonate shell for impact resistance, and a smooth, sleek case that slides easily in and out of pockets, purses, and bags. And, to keep your stylish iPhone™ looking stylish, the Commuter TL is available in 7 vibrant colors, and features a transparent polycarbonate shield that keeps the distinctive Apple logo visible. Textured sides ensure a secure, comfortable grip. Secure silicone plugs seal out environmental hazards like dust and dirt. The dermaSHOT® iPhone 4 Silicone Cases have a revolutionary anti-static coating that prevents the silicone from becoming sticky. 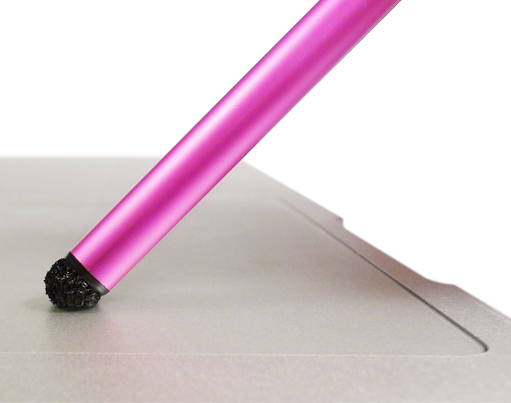 Smooth and sleek to the touch, the dermaSHOT® will grip your iPhone 4 - not your pants pocket. Made from a high-density, long lasting, and shock absorbing silicone, the dermaSHOT® is stretch and tear-resistant. The dense yet lightweight silicone provides excellent shock-aborbing protection. The dermaSHOT® includes an Incipio Vanity Kit complete with one surface protector, applicator card, and cleaning cloth to keep your device in pristine condition. Leave your wallet at home with this convenient and ingenious iPhone 4 card case! The CandyShell Card is a protective, one-piece iPhone case that lets you stash up to three credit-card-sized cards inside its built-in rubberized slot. Just slide your cards in to store them securely, and use the handy thumb release to access your cards when you need them! Hard shell. Soft center. And a pretty sweet card carrier! So you did it. 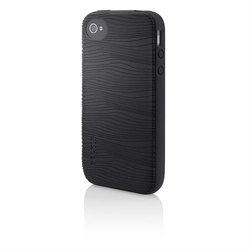 You bought a new iPhone® 4 and you want a slim, stylish case to protect it. The OtterBox Impact Series case for iPhone 4 is definitely your answer. This mighty silicone skin is tough enough to handle bumps, scratches and shocks–yet remains surprisingly thin. Remember, nobody does silicone skins like OtterBox case. About our Impact Series: The OtterBox Impact Series is a durable silicone skin, brilliantly engineered with inner coring to dissipate shock away from your iPhone 4. Griffin and the GRAMMY Foundation have partnered up with OK GO to create a unique artist-designed skin for your iPhone and iPod touch. Extra-thick vinyl protects the back of your iPhone or iPod touch from scratches (while the artwork shows off your good taste in music). And these skins do more than just protect. Proceeds from the sale of these skins help support the GRAMMY Foundation’s work in music education and in helping preserve America's rich musical heritage. Want more protection? Add our Reveal clear hard-shell case and save $5. That's just $29.99 for total coverage that rocks. Dress your iPhone to impress with PixelSkin HD, iLounge’s iPhone Case of the Year for 2010. This perfectly-pixilated, flexible high-contrast skin case features an eye-catching design, including a shiny polished back with matte pixel overlay to create a sleek, sophisticated, artful and decidedly modern look. Dimensions: 0.5" x 2.5" x 4.75"
This cradle is designed to conveniently plug directly into any cigarette lighter power source and allows the convenience of mounting in a convenient location away from the power source. This holder includes an on-glass suction mounting bracket that is adjustable in three planes. This holder has an external antenna connector with an FME male end. *This mount is compatible with most Samsung Galaxy S 4G accessories (such as cases, screen protectors, & plug-in ports) as well as any other Android smart phones. It's like a saddle bag for your iPad. Americana meets the 21st century head-on in the No. 36 Trekker. Constructed of native American steer hide that's been dry-milled for a soft yet rugged feel, the No. 36 Trekker is the perfect size to carry your iPad, phone, a magazine or two, and other essentials. This bag also fits popular phones & its accessories like the new Motorola Atrix 4G accessories. Inside, the built-in pocket is perfectly sized to hold your iPad. The front of the inside pocket has a place to park your pen, stylus, business cards, etc., and there’s plenty of room for your other necessities in the main bag compartment. Take note: Like all Col. Littleton bags, the Trekker is generously sized. But if you need to carry a laptop as well, we strongly recommend one of the larger bags, like the No. 42 Courier Bag. Colonel Littleton's signature copper tube across the spine helps evenly distribute the bag's weight whether you use the leather-wrapped handle or the adjustable shoulder strap. The No. 36 closes with a hidden post closure and uses solid brass hardware throughout. The Trekker's solid brass pommel shield bears a unique serial number under the front flap, and the bag can be personalized on the front. Wirelessly charge your iPhone 4 with this powermat Receiver Case.